› Switzerland : Basel, Geneva, Lausanne, Zurich. › Europe : Amsterdam, Barcelona, Brussels, Florence, Frankfurt, Madrid, Milan, Munich, Paris, London, Luxembourg, Rome, Turin. › World : Dubai, Hong Kong, Montreal, Nassau, Osaka, Singapore, Taipei, Tel-Aviv, Tokyo. We are a partnership of eight owner managers responsible for the entire activity of the Pictet Group. Our principles of succession and transmission of ownership have remained unchanged since Pictet’s foundation in 1805. Our only business is asset and wealth management, together with related asset services. We do not engage in investment banking, nor do we extend commercial loans. Pictet’s partnership structure ensures that we remain committed to maintaining the financial strength and solidity of the Group. Independence lies at the heart of our approach to business and we consider it to be the ultimate source of success for our clients and for Pictet. As owners and managers our primary responsibility is for the interests of our clients. As a matter of principle, all partners remain available to meet clients and indeed do so regularly. Because Pictet is privately owned, we are able to set our own business strategy without pressure from external shareholders. This financial independence goes hand-in-hand with independence of spirit and frees us from the temptations of short-term fashion. Pictet has a distinctive habit of cooperation and partnership which we believe springs directly from our long history of stability, continuity and organic growth. Over the past 212 years there have been only 41 partners, each with an average tenure of over 20 years. Because the partners' terms overlap, the knowledge, experience and values of each generation of partners are absorbed and passed on without interruption. While this tradition ensures continuity, it also creates the adaptable and entrepreneurial environment which is essential to the future prosperity of our clients and of Pictet itself. The Pictet Group offers a comprehensive range of services to demanding private clients and institutions around the world. This includes private and institutional asset management, fund administration and management, global custody, alternative investments and services to independent asset managers. 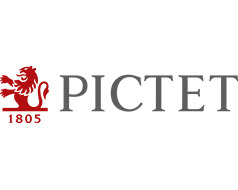 Wealth management for private clients has been central to Pictet since 1805 and remains so today. Independence lies at the heart of our business and our ability to focus on managing clients’ assets without distraction. Pictet offers wealth management in its broadest sense, including family office services, tailor-made advice, advice on legal, accounting and tax issues, and help in succession planning. In the late 1960s, Pictet embarked on the new business of institutional asset management, gaining its first pension fund account in 1967. Today, Pictet provides specialist investment management services through segregated accounts and mutual funds to leading institutions globally. Clients include some of the world’s largest pension funds, financial institutions and sovereign wealth funds. With strong investment convictions and clear strategic priorities, Pictet aims to build lasting partnerships with its clients and manages a full range of active and quantitative investment solutions including equity, fixed income, money markets and alternative strategies. Pictet provides custody services, administration and governance for investment funds, transfer agency services as well as trading services through our Trading teams. As the Pictet Group has no investment banking activities, we can act without conflicts of interest and to the best interest of our clients. In addition, Pictet's dedicated third-party management companies handles relationships with regulators and provide fund governance services. Our clients include asset managers, such as independent asset managers for private clients, pension funds, institutions and banks. 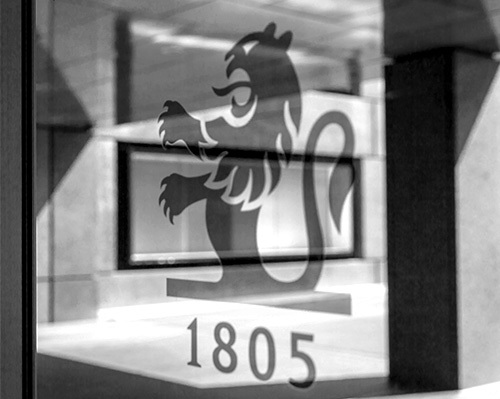 Since the early 19th century, Pictet has been a mainstay of Geneva’s financial sector and its history is closely linked to that of the city. Because of its exceptional financial solidity, the Bank has consistently received excellent ratings from the most reputable credit rating agencies in the industry. Bank de Candolle Mallet & Cie was founded on 23 July 1805. 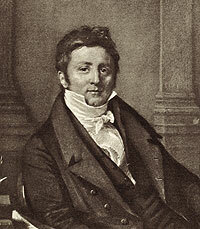 At that time, it had two managing partners, Jacob-Michel-François de Candolle and Jacques-Henry Mallet, as well as three limited partners, Jean-Louis Mallet, the latter’s brother, Paul Martin and Jean-Louis Falquet who was a member of government after the Restoration. The fledgling bank was located at the Cour St-Pierre in Geneva until 1819. According to its memorandum of association, the new bank’s purpose was “to trade in goods and articles of all types, collect annuities and undertake speculation in commodities”. This status reflected the general nature of business conducted at the time by Genevan banks, which had all started out as traders in goods. Very early on, however, the Bank abandoned trading to concentrate on assisting clients in their financial and commercial business and advising them in the art of managing their wealth. The services provided already included investment advice and foreign exchange trading. Account books and documents show that, the Bank already held a broad enough range of securities on its clients’ behalf to ensure that risks were properly spread: sovereign bonds issued by foreign states, lottery tickets (in fashion at the time) and shares in local and foreign companies, and tontine annuities from Ireland, Orleans and Turin. Industrial development in Switzerland, Europe and the United States boosted investment opportunities. Portfolios began to include bonds from the North American railways, as well as shares in real estate, mining and insurance companies. Between 1890 and the First World War, the Bank experienced a period of substantial growth. In the space of thirty years, the number of employees grew from 12 to more than 80. As investments became more and more global, two fund companies specialising in US and Mexican securities were founded, in 1900 and 1910 respectively. Thanks to its business contacts in New York and in the United Kingdom and its solid reputation in Berne, the Bank was responsible for negotiating three federal loans in the United States on behalf of the Swiss Confederation between 1915 and 1920. These loans amounted to USD 70 million, quite a considerable sum in those days. Following a period of relative stagnation marked by the Depression of the 1930s and two World Wars, the Bank's staff was reduced by half. In the post-war period, however, Pictet experienced a prolonged period of economic growth. Despite the negative outlook in the immediate aftermath of World War II, the Western world experienced a period of prosperity and economic growth. Geneva became one of the world’s major diplomatic and financial centres. Pictet embarked on the new business of institutional asset management, gaining its first pension fund account in 1967. The Bank continued to expand rapidly. In 1980, Pictet employed more than 300 staff, compared with just 70 in 1945. While developing its headquarters in Geneva, Pictet also pursued its expansion abroad by opening offices in Montreal in 1974 and acquiring a seat on the Boston Stock Exchange the same year. 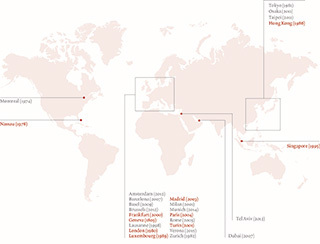 Over the last 30 years since 1980, the Pictet Group has continued to grow rapidly. As Pictet has expanded over the years, the proportion of institutional clients among the client base has increased steadily. Indeed, since the end of the 1960s, a growing number of institutions throughout the world – mainly pension funds – have chosen Pictet to manage their assets. Today, the assets of these institutional clients account for half the total assets under custody at the Bank. Proud of having stood the test of time, Pictet celebrated its bicentennial after weathering the storm of political upheavals and financial crises for over two hundred years. Another milestone was reached with the inauguration of the Group's headquarters at 60, Route des Acacias in Geneva. The new building combines ecological economy with state-of-the-art technology and shows both a traditional and a contemporary face to the world. Pictet is committed to managing its operations in accordance with the principles of sustainability and, above all, to offering its clients a wide choice of quality products in the area of sustainable investment. the Bank launched the Prix Pictet, the world’s first and premier prize dedicated to the theme of sustainable development. 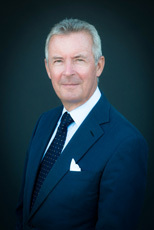 Pictet's legal structure changed from a simple partnership to a corporate partnership ("société en commandite par actions"). This adjustment became necessary because of the Group's growth and development, and will enable Pictet to manage its business more efficiently in an international environment. The six Partners, who are owners and managers of the Group, can thus continue to run the company by carrying on a tradition of ownership that has remained unchanged for more than 200 years. Pictet today employs more than 4000 people worldwide and has approximately 478 billion Swiss francs in assets under management and administration. The Group is pursuing its international expansion and currently has more than 26 offices in some of the most important financial centres around the world.